Today Windows 95 marks the 22nd anniversary of its General Availability to the public on 24 August 1995 as an upgrade to the then popular Windows 3.1 version of the operating system. I can remember standing in line at a big box electronics retailer in Newark, New Jersey along with about 150 others for the midnight release of the operating system. The television media was there covering the event and it definitely had a circus/show event type of feel to it. At midnight we all entered the store rather orderly and grabbed our copies of Windows 95 to take home and install. Windows 95 was a marked departure from its predecessor. It did this by adding a hierarchical Start Menu that could be customized for all of your program listings and a Taskbar across the bottom of the screen to easily show open programs. Those two elements, except for a brief disappearance of the Start Menu in Windows 8 which caused quite an uproar, continue to be key UI elements in today's Windows 10. My original Windows 95 Upgrade Media and CD sleeve. Wear and tear forced me to put it in a CD case though. Both the Start Menu and Taskbar have come a long way with many features now available that make them capable of conforming to your own work methods through customization options that allow every Windows 10 system to look different then one sitting right next to it. No more cookie cutter Windows. 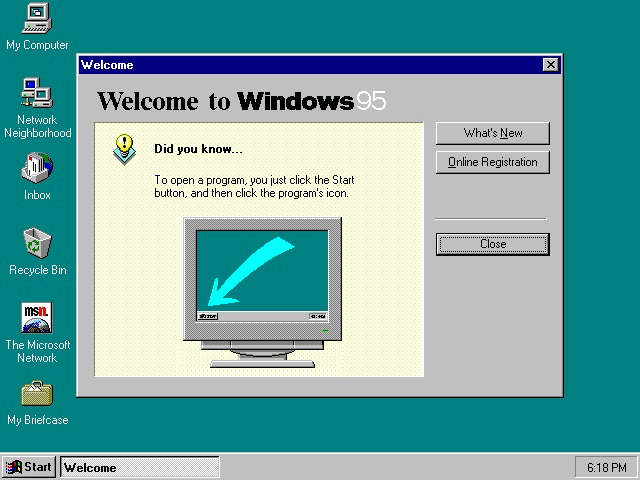 I look back on Windows 95 with a lot of fondness because it was this operating system that prompted me to learn HTML, build my first website on GeoCities, and dive deeper into technology. There is no doubt that Windows 95 put me on the path I continue to walk down today with technology and it is a relationship that I enjoy and which I am very thankful for. 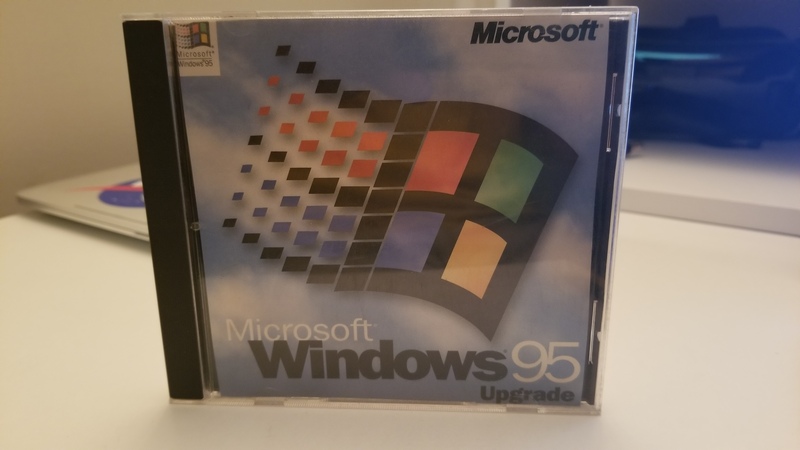 Did you use Windows 95 when it was released? If not, what version of Windows started your tech journey?